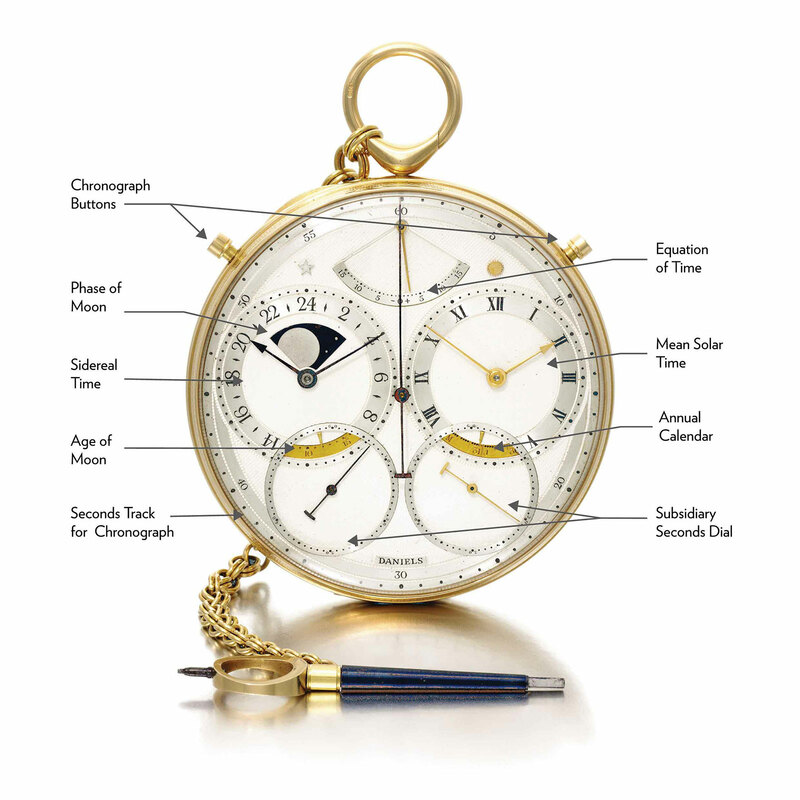 When Sotheby’s sold the watch collection of the late George Daniels in 2012, the top lot was the Space Travellers Watch. 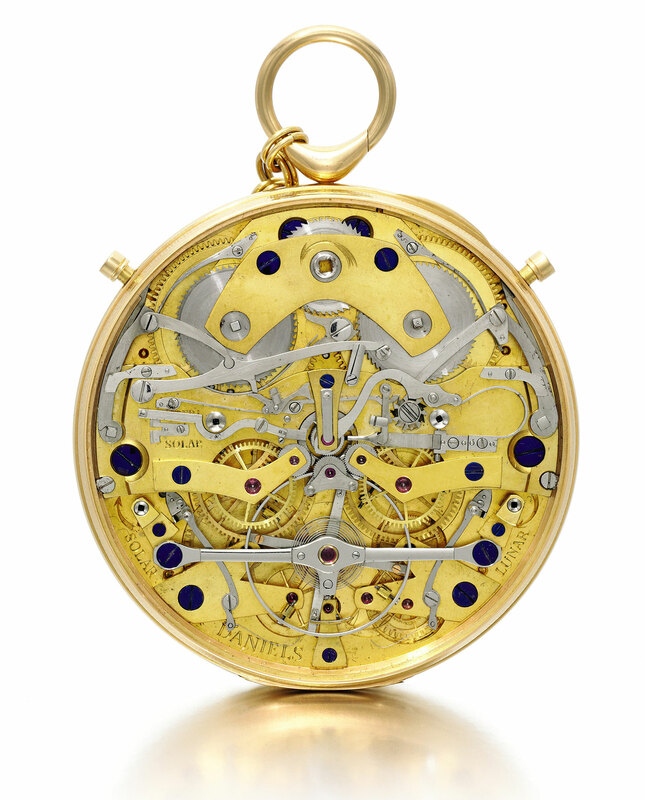 It sold for £1.33m, or US$2.13m, making it by the most expensive George Daniels timepiece, and one of the most valuable English watches ever made. And now just five years later the Space Travellers Watch is once again going under the hammer, with Sotheby’s offering it at its London watch auction on September 19, 2017. 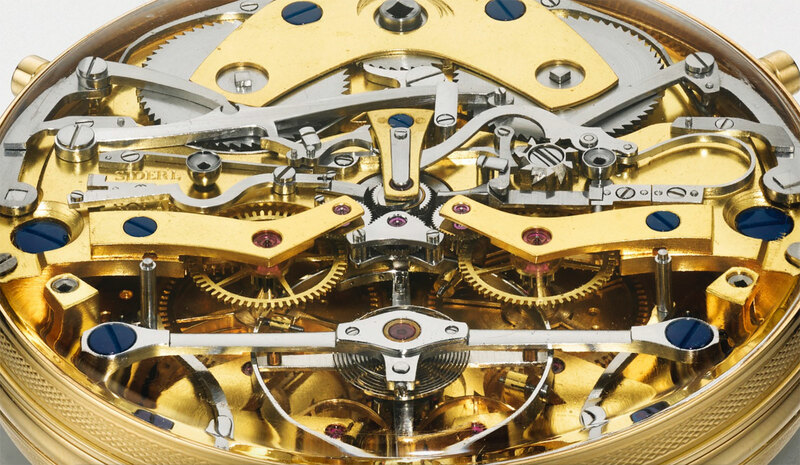 Best known for having invented the frictionless Co-Axial escapement he sold to Omega, George Daniels only finished 27 watches in his lifetime, excluding prototypes and the series of Daniels wristwatches produced by his protege Roger W. Smith. 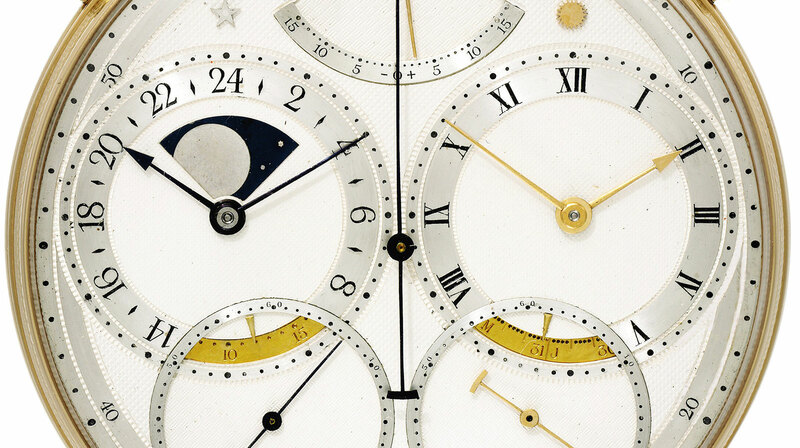 All those 27 watches are rightly regarded as exemplars of mechanical ingenuity – all the watches were practically hand-made from scratch using 18th and 19th century techniques – but the Space Travellers Watch is the piece de resistance in Daniels’ body of work. Unlike many other record-setting watches sold at auction, which are usually valuable by virtue of either rarity or provenance (or even both), the Daniels Space Travellers Watch has vast tangible value, being hand-made, extremely complex and inventive. Daniels produced two Space Traveller watches in 1982 – the first was sold by antique clock dealer Bobinet, a fact Daniels regretted, so he created this one as a replacement. The first having been sold by Sotheby’s in 1988 for SFr220,000 and not having changed hands publicly since. The second example is up for sale next month and it’s the more complicated of the pair, having an added chronograph function (that can also alternate between times). The distinguishing feature of the Space Traveller Watches, and whence they got their name, is the twin train movement displaying two different types of time. The left sub-dial displays sidereal time on a 24-hour scale, which is time reckoned according to the Earth’s movement relative to stationary stars. A sidereal day is just under four minutes shorter than a conventional, 24-hour day according to mean solar time. Consequently, the escape wheel on the sidereal time train has 14 teeth, compared to 13 on that for mean solar time. A sidereal time display was historically used for navigation or time-setting, since an observer would see the same constellation in the same position every day according to sidereal time, while on mean solar time the sighting would come about four minutes earlier. Consequently, the fixed star allows the determination of mean solar time, and also the position of the observer (with the aid of a theodolite and astronomical charts). The sub-dial on the right of the Space Travellers Watch shows mean solar time. According to Sotheby’s, Daniels used to say “when you are on your package tour to Mars you need a watch like this”, referring to the fact that the tourist would still know conventional time on Earth while being able to tell the true time on Mars with the sidereal time display. Even more unusual is the chronograph mechanism that can alternate between recording conventional time or sidereal time, thanks to a switching clutch mechanism. That, along with the rest of the remarkable movement, is visible through the sapphire case back, an unusual feature for a Daniels watch. Still a good buy, perhaps? The value of George Daniels watches have risen steadily since his death in 2011, demonstrated by the strong results for his wristwatches sold at auction. The Space Travellers Watch now carries an estimate of £1.2m to £1.8m, compared to just £400,000 to £600,000 when it was last sold. 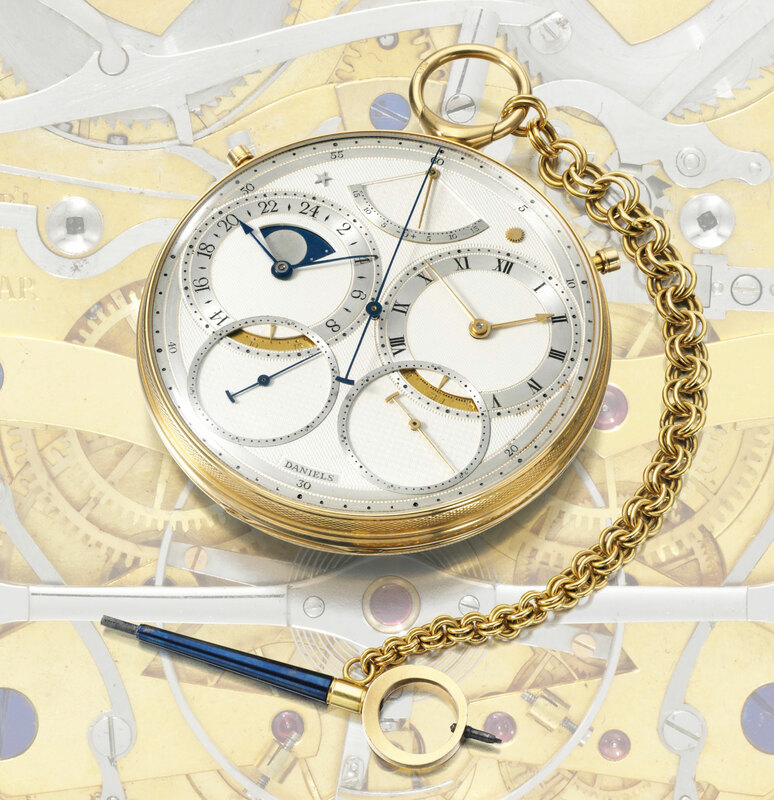 Though the last truly major timepiece that Sotheby’s offered – the Patek Philippe Calibre 89 in May 2017 – failed conspicuously with zero bids, the Space Travellers Watch is likely destined for a better fate. It will probably exceed the price achieved in 2012, though not by a wide margin, perhaps just crossing the £2.om mark including the buyer’s premium, which is a lot of money – for a small slice of genius. The auction takes place on September 19, 2017, with the Space Travellers Watch being lot 121.